Now you can have the best business location and satisfied employees. In the best of circumstances, selecting an appropriate site for your business operation is a challenge. The location must meet your project’s minimum criteria and it must be a location where you can envision your employees and families thriving. Otherwise, you run the risk of employee turnover and not being able to recruit the top talent your business needs to successfully compete. There are a lot of ways to confirm a location can meet your “must have” project criteria. For example, you could simply hire an objective site selection consultant to work through the myriad of potential location choices to arrive at a short-list for due diligence. Or, you could use the Internet and access databases that provide an independent assessment of everything from quality of labor pool to cost of doing business. But, how do you get a good handle on the “smell of a place”? Visit it? Site visits are like dates, everybody puts on their finest clothes and pays close attention to their manners. It is truly hard to get a real sense for what it is like to live and work in the location. Until now. Can You Measure Quality of Place? Researchers at Xavier University in Cincinnati, Ohio, have created a new measure that provides insights into how residents of a community feel about their lives there. This unique insight helps you make an even better informed decision on which short-list location has the greatest potential to help your business operation be successful. The measure is called the American Dream Composite Index (ADCI), powered by Dunnhumby, a global customer science company, with a location in Cincinnati. The ADCI is the first measurement that quantifies the American Dream in its entirety. It gauges well-being as a function of the multifaceted American Dream. It is a statistically validated survey measure that reveals how people living in a location feel about their personal well-being and physical environment. It provides insights into the economic, political and societal conditions of a location. As such, it can help you objectively compare locations to assess what it will be like for your employees to live and work there. For perspective, the survey is comprised of 139 statements pertaining to various aspects of the American Dream. Responses to these statements are statistically clustered into 35 dimensions that ultimately make up the ADCI. Respondents use a Likert scale to provide a sentiment rating for each statement. *Economic Index — Measures resident satisfaction, freedom and progress with respect to their finances, job, home ownership and health care. *Well-Being Index — Measures the extent to which residents are content, healthy and prosperous in life. *Societal Index — Measures the extent to which residents view the government, businesses and people as fair and trustworthy. *Diversity Index — Measures resident attitudes toward assimilation of differences within the community. *Environment Index — Measures the extent of pollution in the air, food, water and land that residents encounter on a regular basis. Combined, these sub-indexes offer a unique view of the location through the eyes of people actually living and working in the location. The information provided by residents can help you identify aspects that you might want to ensure gathering additional information about during the due diligence phase of your location short list evaluation process. To provide a working example, suppose you are the CEO of a multinational company looking to build an operation in the United States (or if your business employs foreign nationals). One concern would be around how open the location is to accepting people from the outside. You can use the ADCI Diversity Index to obtain a perspective on the relative friendliness of a location. The following table provides a look at the state level 2012 ADCI data. States that scored +1 standard deviation above national average, and states that scored -1 standard deviation below national average for the American Dream Diversity Index and the four component dimensions are identified. If your short list includes a location in New Mexico (NM) and one in South Dakota (SD), based on these data you would conclude there is a meaningful difference in diversity friendliness between these two locations. Digging deeper into the dimensions that make up the Diversity Index you can find where the difference is most pronounced. In the New Mexico vs. South Dakota location example, the first big difference is in the dimension related to acceptance of diversity in neighborhoods (Melting Pot — Community). This may signal that it may be easier for company managers transferred to a location in New Mexico to integrate themselves and their family into the community. The second big difference is in the ability to vote freely and make political choices (Political Freedom). This may signal that it will be easier to work with the political structure in New Mexico to resolve business challenges. At a minimum, these differences suggest areas for your team to do additional due diligence evaluation and special consideration before making your final location decision. Hiring and retaining the best talent is getting harder than it’s ever been. Labor forecasts suggest that, for the first time in U.S. history, the number of younger workers entering the labor market won’t be enough to replace those who are leaving. In fact, for every person entering the workforce, two experienced baby boomers are leaving. Not only do you have to be concerned with filling the new positions you are looking to create through expansion, but you also have to worry about backfilling critical skilled positions being vacated by retirements. Looking at a location through the eyes of its residents can help you better understand what it will be like for your employees to live and work in a location. Knowing that information before making a final decision can help you increase the probability of employee retention and productivity. It can also help you better understand which location option might be easiest to recruit top talent to. At a minimum, the ADCI data provides a unique assessment that can raise potential red flags that should be addressed before making your final location choice. 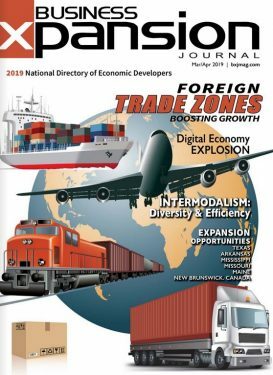 Xavier University publishes the ADCI monthly on a national and major regional level. Annually, the data is available at the state level. Beginning with 2013 data, the index will be available on an MSA level (target date for availability is February 2014). To further pique your interest in learning more about the ADCI research, Xavier University is working on a mini-survey that could be run inside your company to better understand how your employees feel they are achieving their American Dream, which is a metric to supplement internal employee satisfaction measures. For complete details, visit www.strengtheningbrandamerica.com and www.americandreamcompositeindex.com. Edward Burghard is the CEO and founder of The Burghard Group LLC and creator of the Strengthening Brand America Project.